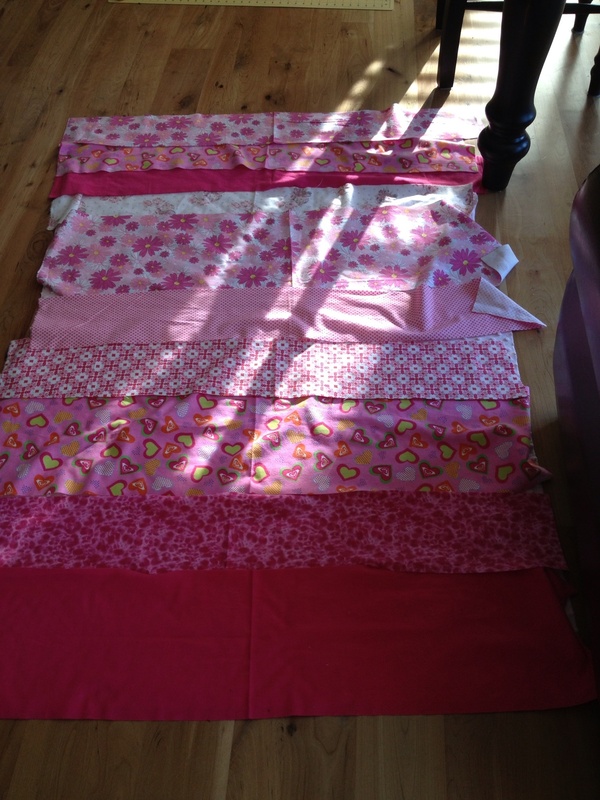 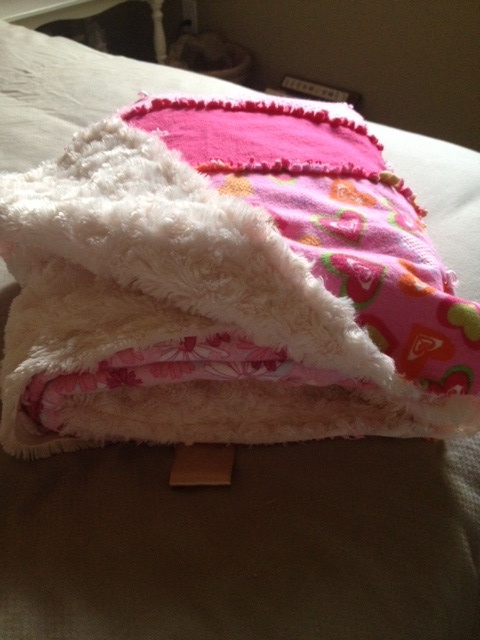 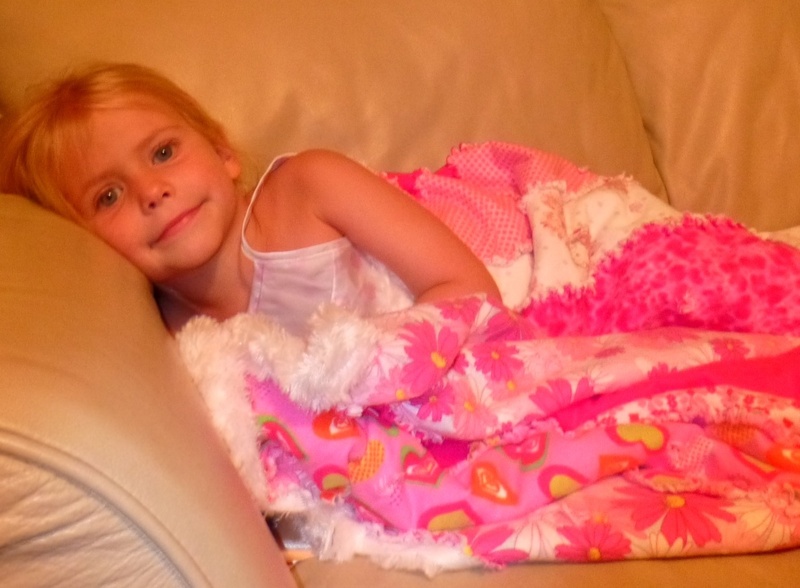 I am on a roll….3 more lap quilts finished for my nieces, aged 2, 3, and 4. 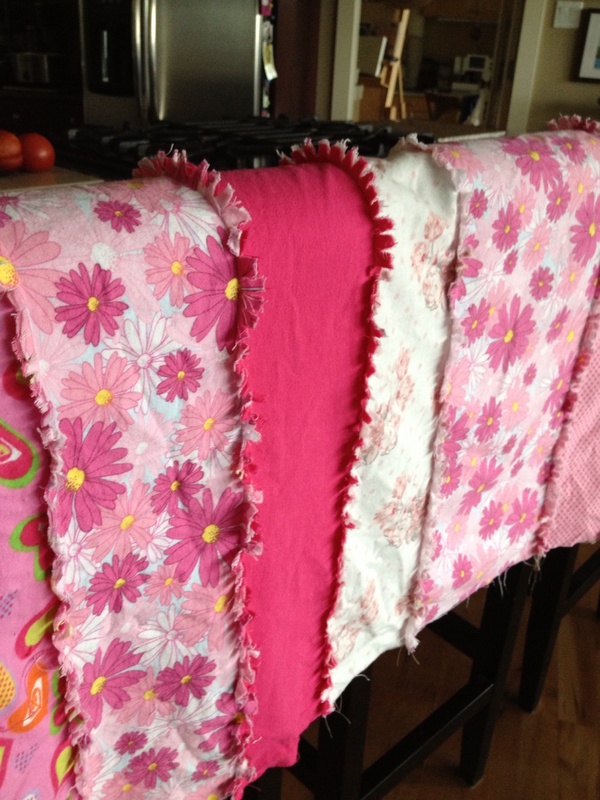 Cozy strips of cotton flannel on one side and cabbage swirls in minky fabric on the reverse. 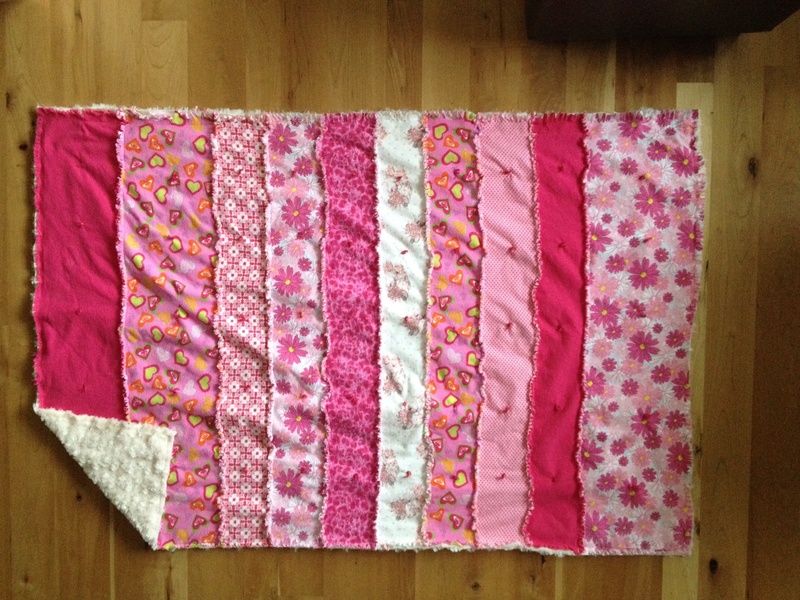 Pretty in pink. 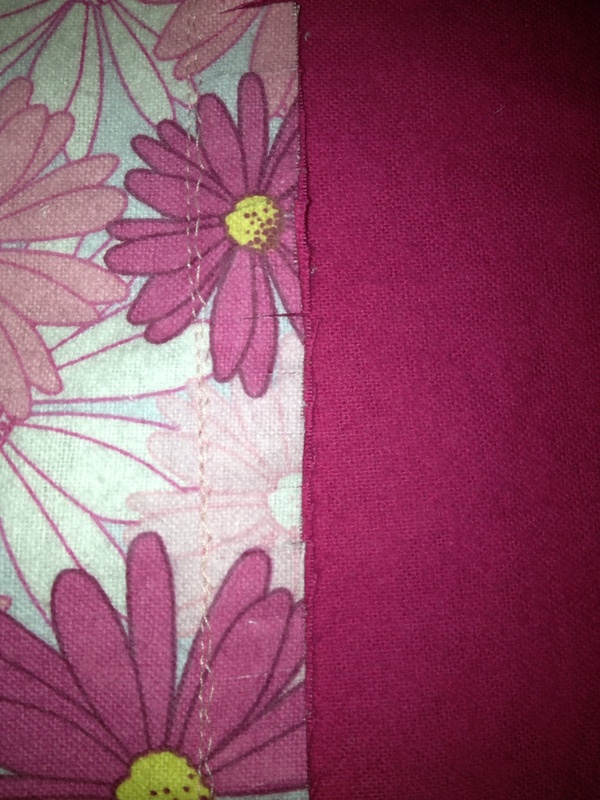 I double stitched the seams with a very small zigzag so the thread wouldn’t snap if the kids stepped or tugged on their quilts.